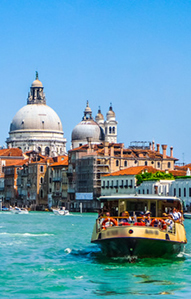 A popular choice for weekend breaks, honeymoons and cruise ports of call Venice has everything. There is no wonder it attracts 10 million visitors each year even though it is only 2½ miles from east to west and 1¾ miles North to South. The city of Venice lies on a canal bisected island in the lagoon and is linked to the mainland by a 3 mile long causeway. From the airport take the water bus to the city centre which will cost approximately 15 euros and take around 50 minutes. Where else can you cruise the Grand Canal and take in all the beautiful sights at such a bargain price? The main transport is the Vaporetti (Water bus) and this is the cheaper way to explore Venice other than on foot. Water taxis are more expensive and so are the famous Gondolas unless you are prepared to share with other tourists. During the day take a leisurely walk or water bus to visit St Marks square - the soul of the city, visit the Rialto Bridge which is the perfect spot to take fantastic photos of the Grand Canal teeming with Gondolas and water buses or visit many of the old churches and take in the superb examples of Byzantine, Renaissance and Gothic architecture. For eating out there are plenty of restaurants around St Marks Square although these tend to be more expensive if you explore a little there are a wide choice of eateries with most restaurants offering a three course tourist menu at fixed prices. Nightlife tends to be set around the evening meal although there are a scattering of bars and the odd nightclub if you have the energy after a hard days sightseeing. City breaks to Venice are popular all year round, however if you wish to avoid the heat and the crowds then try to avoid the main summer holiday months if you can. If you are looking for a cheap weekend in Venice there are some reasonably priced accommodation and cheap hotels, normally to obtain the best prices you should book well in advance, but if you are looking for a last minute weekend break, then either search online by using our search engine above or call Travel Empire and we will find you the best price. 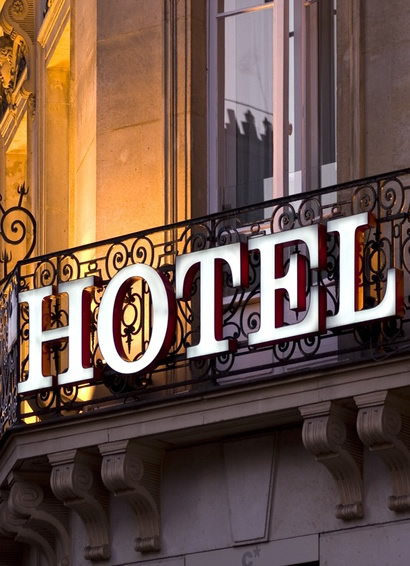 Alternatively if you are looking to pamper yourself with a luxury weekend in Venice, the city has a choice of 4 and 5 star hotels. Venice long weekends or 2 or 3 night holidays are available from major UK airports. Call us free on 0800 849 1285 or click here for a quote.